SAN FRANCISCO (Reuters) - Samsung Electronics Co Ltd on Wednesday unveiled a nearly $2,000 folding smartphone in a bid to top the technology of Apple Inc and Chinese rivals and reignite consumer interest in a massive consumer electronics category that had its worst sales ever last year. 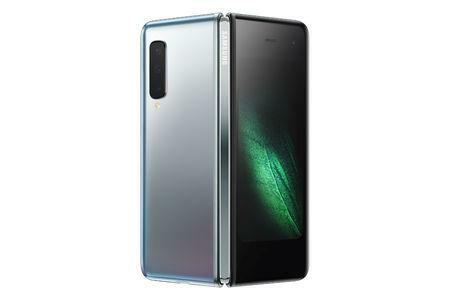 The Galaxy Fold will go on sale on April 26 and take advantage of new and faster 5G mobile networks. The device looks similar to a conventional smartphone, but then opens like a book to reveal a display the size of a small tablet at 7.3 inches (18.5 cm). The device "answers sceptics who said that everything that could be done has been done," DJ Koh, chief executive of Samsung Electronics, said at an event in San Francisco. "We are here to prove them wrong." 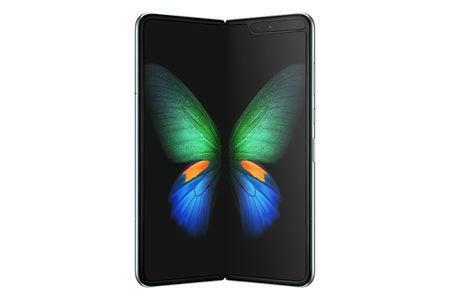 With the foldable phone, Samsung is trying to take the technology lead on two fronts in the smart phone race, offering an eye-catching new feature with the big, bending screen and the first 5G connection in a premium phone, a feature analysts do not expect Apple to match until 2020. It also challenges the notion of what a phone can cost, debuting at nearly twice the price of current top-of-the-line models from Apple and Samsung itself. Patrick Moorhead, founder of Moor Insights & Strategy, said the new folding device could help Samsung stay at the top and lure consumers to upgrade devices that have looked largely the same over the past five years. 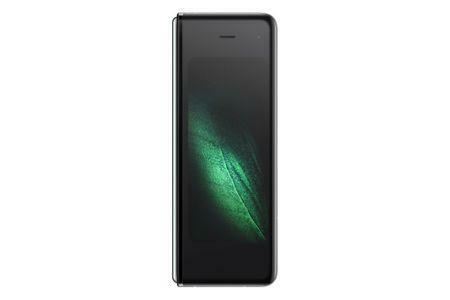 "Samsung and Apple go back and forth" to lead the premium smartphone market, Moorhead said. "I think this is Samsung's chance to take back the innovation crown." And even though the $1,980 starting price is steep, some dedicated Samsung fans said they would pay it. Navneet Kumar Singh, a Samsung enthusiast from India who travelled to San Francisco to watch the launch, is ready to place his order. "The prices of the flagship models have been a little aggressive in India," he said, "But in the end, if you invest the money you're getting a different experience." Samsung also introduced several accessories to compete against Apple, including a pair of wireless headphones called Galaxy Buds. The headphones include wireless charging, a feature that Apple has promised to put into is competing AirPods but has not yet released. Samsung also said that its new Galaxy phones will be able to wirelessly charge its headphones and new smartwatches by setting the accessories on the back of the phone. Samsung said it had developed new manufacturing processes for the phone's hinge and flexible display to tolerate opening and closing hundreds of thousands of times. Along with the folding phone, Samsung also added new cameras and a 5G version to its Galaxy series of phones. Verizon Communications Inc will be the first carrier to offer service for Samsung's 5G phones. The networks are expected to be 10 times faster than current ones, improving viewing of live news and sports events. The 5G smartphones, both folding and rigid, aim to beat major rivals Apple and Xiaomi Corp to market with a next-generation device as Samsung defends a narrowing lead in global handset shipments. With the 5G versions of its flagships, the Korean electronics maker looks to have beaten Chinese rivals in the 5G race, although the device will operate only on the small number of networks launching later this year. Apple is not expected to release a 5G smartphone until late 2020. Rival smartphone makers are expected to announce 5G models at next week's Mobile World Congress, the industry's top annual event, in Spain. Samsung said its 5G handset would be available in the early summer. The Galaxy 10 series needs to appeal to consumers who are reluctant to upgrade for only incremental technological improvements in performance. Such reluctance led to the worst-ever year for smartphone sales in 2018. All of the Galaxy series of rigid phones except the 5G will be available from March 8, with the S10+ priced from $1,000, the S10 priced from $900 and the smaller S10e from $750. The mainline S10 compares with $999 for Apple's iPhone XS and $858 for Huawei Technologies Co Ltd's premium Mate 20 Pro. Samsung is still the global smartphone market leader with about 19 percent share but it underperformed the market, which was itself down. Huawei and Apple are vying for second place with about 13 and 12 percent respectively.